Manchester has a huge selection of attractions and things to do including world class museums, concert venues, theatres, cinemas, and sporting facilities and teams. Most are located within a relatively compact city centre, while the rest are easy accessible using the excellent public transport system. The Museum of Science and Industry (MOSI) sits on the site of Liverpool Road Station, the world’s first passenger railway station. The five buildings here house exhibits illustrating the North West’s industrial and scientific achievements. 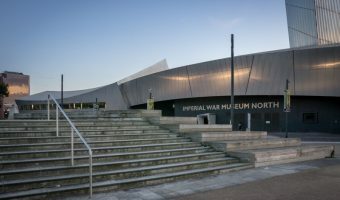 Another major museum is the Imperial War Museum North at Salford Quays. Housed in an unusual and complex building, designed by architect Daniel Libeskind, it focuses on the human cost of war in the 20th and 21st centuries through powerful exhibitions and a fantastic audio-visual show. Manchester United is the world’s most famous and best supported football club. Fans can explore the club’s rich history at the Manchester United Museum and look behind the scenes by taking the stadium tour. Rivals Manchester City also offers tours of the Etihad Stadium. The Manchester Museum features a diverse range of galleries housing collections of money, fossils, rocks and minerals, archaeology and ancient Egypt, and archery. The museum also boasts a vivarium with live frogs, lizards, and snakes. The museum is situated on Oxford Road and owned by the University of Manchester. The John Rylands Library is one of Manchester’s most beautiful buildings. The Gothic building on Deansgate was founded at the turn of the century by Enriqueta Rylands in memory of her husband, John Rylands, Manchester’s first multi-millionaire. Its collection includes many rare books and manuscripts including a rare copy of the Gutenberg Bible and the earliest known fragment of the New Testament. The People’s History Museum at Spinningfields reopened in 2010 after a multi-million pound redevelopment and extension. The museum tells the story of ordinary people and their fight for democracy and boasts the world’s biggest collection of trade union banners and an excellent collection of 18th and 19th century political cartoons. Urbis closed in 2010 and opened as the new home of the National Football Museum in 2012. The Manchester Art Gallery is one of the city’s most popular attractions. It offers a good collection of Pre-Raphaelite paintings and a gallery featuring the work of local artists. Other art galleries in the city include the Whitworth Art Gallery and the Chinese Arts Centre. The Vue is Manchester’s most central cinema and offers 23 screens, including a massive IMAX theatre. It’s situated at the Printworks, an indoor entertainment complex with a huge selection of bars, restaurants and nightclubs. 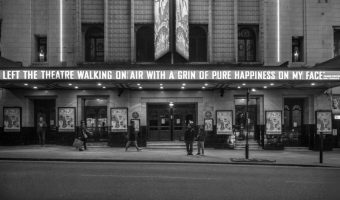 The other mainstream cinema in the city centre is the Odeon at the Great Northern, a leisure complex on Deansgate. Out of town cinemas include Cineworld in Ashton-under-Lyne, Cineworld in Didsbury, the Odeon at the Trafford Centre, and the Vue at Salford Quays. Manchester has more theatre seats than any other city in the UK outside of London. The Palace Theatre, often referred to as ‘The Grand Old Lady of Oxford Street’, opened in 1851 and hosts mainly big-budget musicals. Its sister theatre, the Opera House, on Peter Street, shows musicals, children’s shows, ballet, and a popular Christmas pantomime. The Royal Exchange Theatre was founded in 1976 by a group of artistic directors. The unusual structure, a 7-sized steel and glass module, sits within a magnificent building once used for trading cotton and is the UK’s largest theatre-in-the-round. Another major theatre is the Lowry at Salford Quays. Named after painter LS Lowry, it features two performance spaces; the 1730 capacity Lyric theatre and the smaller Quays. The Lowry also features art galleries showcasing the work of Lowry and contemporary artists. Other theatrical and performance venues in and around Manchester include the Dancehouse and Contact, both on Oxford Road. Manchester’s massive contribution to popular music is undoubted and the city boasts a great selection of live music venues catering to all tastes. The Manchester Arena is the largest indoor arena in the UK and Western Europe and one of the busiest in the world. It opened in 1995 and hosted concerts by major acts such as the Rolling Stones, Madonna, U2, Kylie Minogue, and Take That. The Apollo at Ardwick is much smaller but still attracts big names. Other live music venues include the Manchester Academy, the Night & Day Café, the Band on the Wall, Ruby Lounge, the Roadhouse, Sound Control, Matt & Phreds jazz club, and the Deaf Institute. The magnificent Bridgewater Hall opened in 1996 and is home to the Halle, BBC Philharmonic and Manchester Camerata. The unique venue floats free of the ground on 300 giant steel springs and boasts a 2,400 seat auditorium. Chetham’s School of Music, next to Victoria train station, is the UK’s biggest specialist music school. Most weekdays during term time, visitors are welcome to watch free lunchtime performances by the students. London’s famous Comedy Store opened a venue at Deansgate Locks in 2000. The other major comedy club in Manchester is the Frog & Bucket on Oldham Street. Both clubs are venues for the Manchester Comedy Festival, held in October. The Trafford Quays Leisure Village, next to the Trafford Centre, offers a good selection of leisure activities. The Chill Factore features a 180m indoor ski slope, indoor climbing wall, and an alpine ski village with restaurants and shops. Other attractions here include the Airkix indoor skydiving tunnel, the Powerleague Soccerdome, the David Lloyd club, and the DW Sports Fitness Club. The Legoland Discovery Centre, at Barton Square in the Trafford Centre itself, offers an interactive and educational experience for children aged 3 to 10. Lego-themed attractions here include a 4D cinema and Miniland, an area featuring Lego models of famous landmarks and buildings from around Manchester, North West England and beyond. Tickets for both Manchester United and Manchester City games can be difficult to obtain. Premier league matches at both Old Trafford and the Etihad Stadium are frequently sold out. Tickets for other teams in Greater Manchester, such as Bolton Wanderers and Wigan Athletic, are almost always available. Other sports teams and facilities in the area include Lancashire Country Cricket Club, Salford Red Devils (rugby league), Salford Watersports Centre, Manchester Aquatics Centre, the National Cycling Centre, Belle Vue Stadium (greyhound and speedway racing), and the Manchester Climbing Centre. 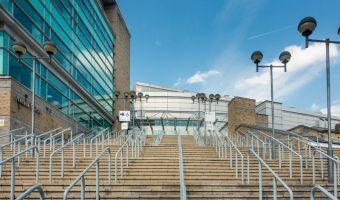 Find out what’s on at the Manchester Arena.